This recipe is a perfect substitute for the chips and salsa we all inevitably end up buying to entertain guests. 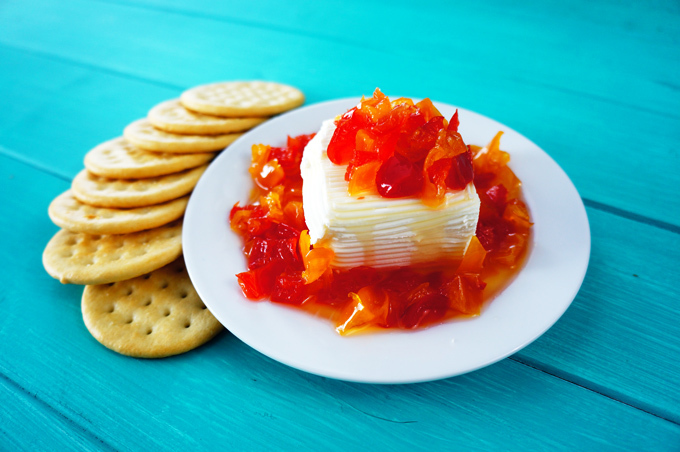 Our family friend, Maria Celsa, showed us how easy it is to create this Red Pepper Jelly that is served with cream cheese and crackers. In Venezuela the dish is named “Chismosa” meaning gossip, as it would be the food of choice while the housewives sat around the kitchen table trading stories. In a medium pot place the sugar, vinegar, and water and bring to a low boil. Chop the red bell peppers into small 1/2 inch cubes. Add the chopped peppers to the mixture and allow the peppers to soften while the mixture continues to reduce. Cook for another 20 minutes or so and then turn off the heat and let cool. The mixture should then be cooled in the fridge. The liquid should resemble syrup in consistency. 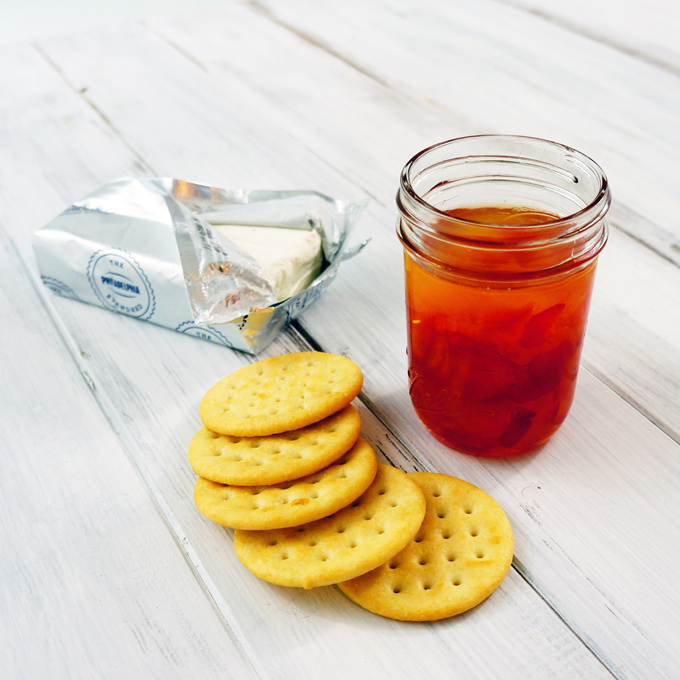 On a plate, place a block of cream cheese and pour the pepper mixture over top. 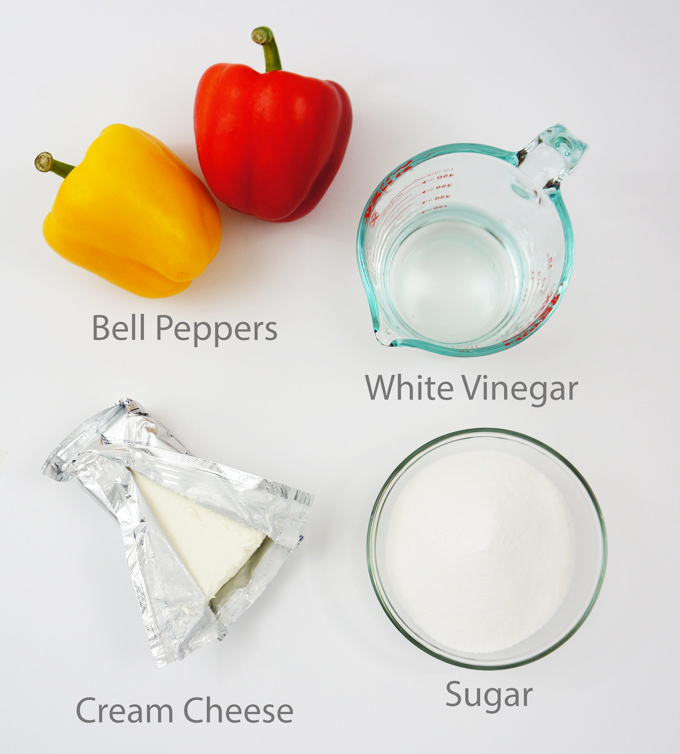 The pepper mixture can be kept in the fridge separate from the cream cheese and then assembled quickly and easily when needed.